It appears the wet season is over; it was a strange one this time: mostly very dry, then more than 1000mm in March and April. 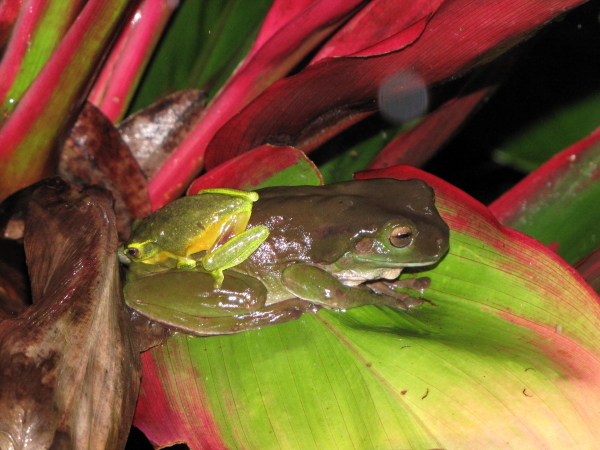 During the few wetter nights in October and December, we had dozens of Dainty Green Tree Frogs (Litoria gracilenta) sitting in the shrubs and Heliconias around the pond, calling all night and laying many clutches of eggs. 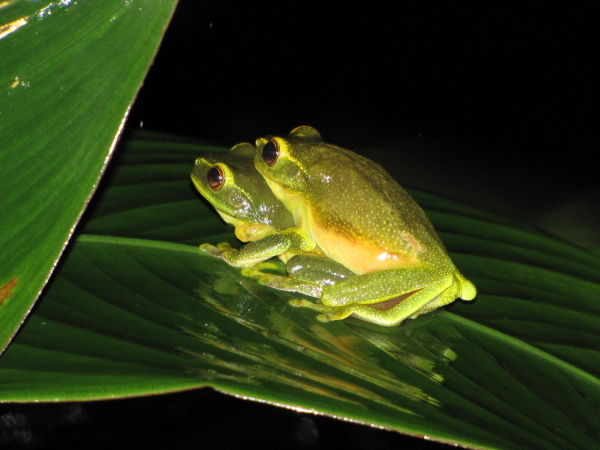 and a few Northern Barred Frogs (Mixophyes coggeri) joined the chorus. 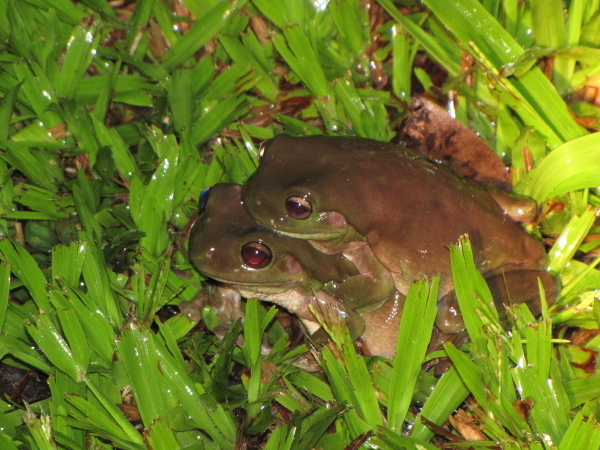 They do not like flooding rains, laying their eggs not into the water, but propelling them onto rocks along the creek and our pond with their hindlegs. 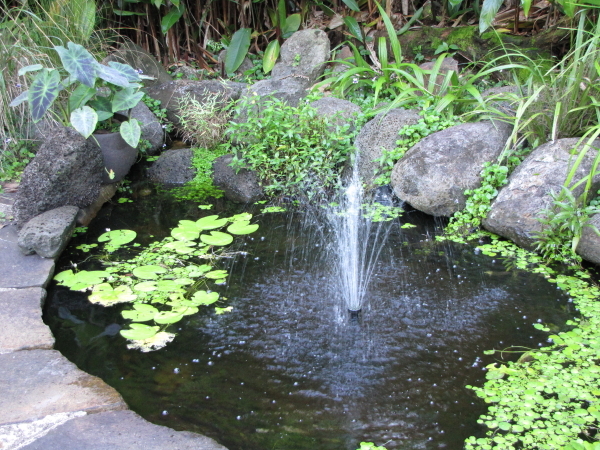 The tadpoles hatch after about a week and drop into the water, where they grow into very large (50-60mm) tadpoles. We have seen an adult frog, that was 120mm long. 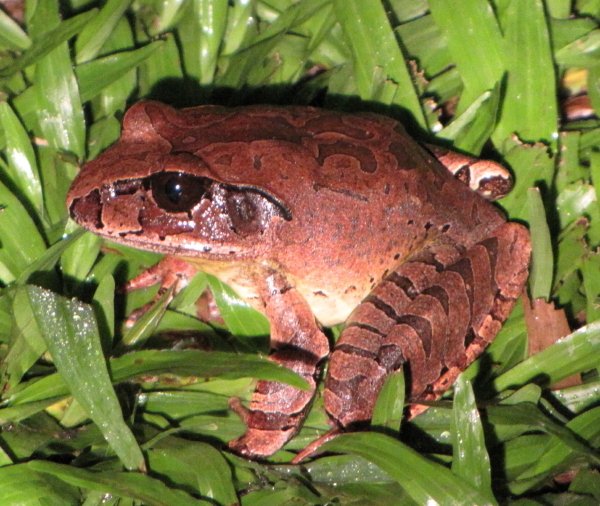 They spend their lives on the forest floor, being perfectly camouflaged among the leaf litter. They do not hop away when approached and we have to manually move the odd one sitting in the driveway.